At last! The latest installment of the beloved Cubis franchise is here! It's a brand new world to explore and Cubis fans will recognize the famously unique, three dimensional gameplay, but with a whole new twist. This time around, every match counts! Make matches in order to collect precious elements required to restore the kingdom. Meet cute and helpful allies as you progress. Are you up for an adventure? 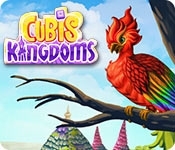 Cubis Kingdoms Collector's Edition provides three times the puzzling fun. 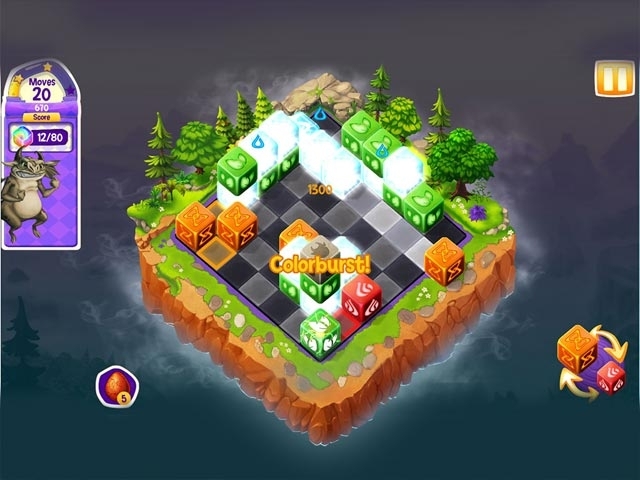 First, enjoy dynamic levels where new cubes appear after each move creating a whole new kind of strategic play. Next, straighten your thinking cap for the puzzle challenge levels. Try to solve these puzzles before you run out of moves. Lastly, to advance to the next chapter, players must battle a pesky gargoyle "Boss" who curses the board as you match your way to victory. Sound exciting? It is! Try it now and restore the Kingdom to its resplendent glory.